For teens who established good oral hygiene routines as children, it comes naturally to keep their teeth and gums healthy as the grow into young adulthood. 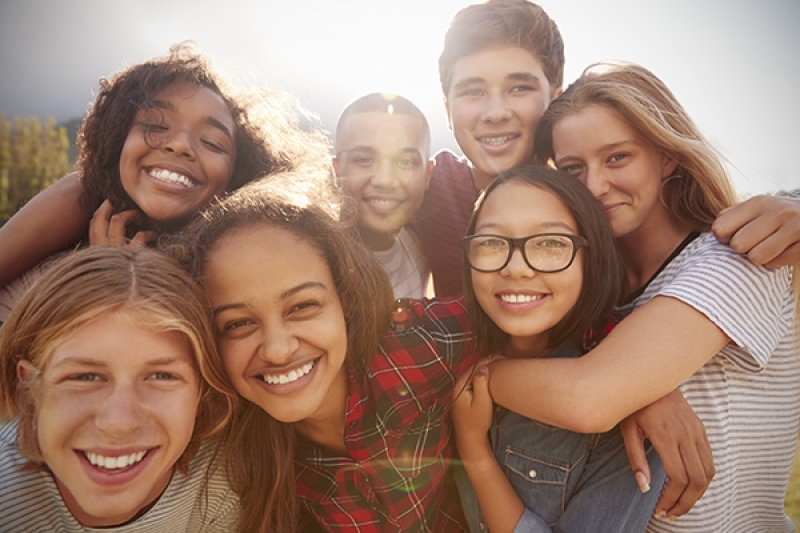 That said, here are some helpful tips from our Burnaby dentists on how to keep your teens' smiles healthy. Brush twice a day with fluoride toothpaste and a soft toothbrush to remove plaque. Remember that plaque is the main cause of cavities and gum disease. Floss at least once a day to remove plaque from between your teeth and under the gum line. If plaque isn't removed daily, it can harden into tartar. Limit foods that are high in sugar or starches, especially sticky foods, since these tend to linger on the surface of the teeth for longer. Visit your dentist at least every six months for professional checkups and cleanings. The early teen years are when many people undergo orthodontic treatment. Talk to your dentist about the alignment of your teen’s teeth, and whether orthodontic treatment is something that should be considered. As they become more independent, teens begin making more of their own food choices, and they may not always make the best choices for their oral or overall health. Make sure your teen understands how their dietary choices affect their health. It's important to give your teen the tools they need to make better choices. Unfortunately, many people start smoking in their teens. In addition to the range of general health risks that smoking comes with, it also increases the risk of cavities, gum disease and even oral cancer. Smoking also causes tooth discolouration and bad breath. Talk to you teen about all the reasons that smoking is a terrible idea, and of avoiding even trying it once. Oral piercings are popular among teens, but they can cause some oral health problems, including chipped teeth and infections. For further information on why we advise against oral piercings speak to your dentist. Need help talking to your teen about oral health? Contact our North Delta children's dentists today to book a consultation.